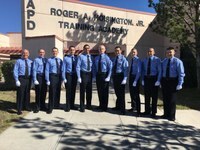 They graduated today following a 9 week academy and will do multiple weeks of continued on-the-job training before serving the community on their own. PSAs are unarmed and assist with traffic control, report writing and other non-sworn public service duties. An applicant must be at least 18 years old and earns $14.12 an hour. PSAs can apply to become a police officer following two continuous years of duty. Today’s graduates are from Socorro, Santa Domingo Pueblo and Albuquerque. 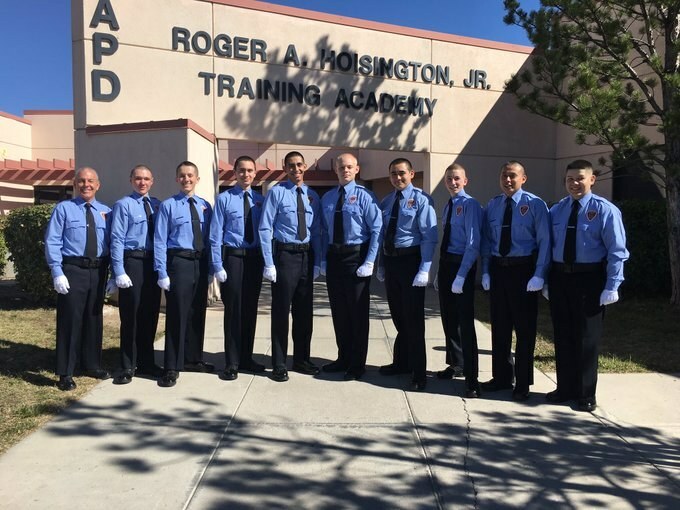 We also have a first for the Albuquerque Police Department in graduating the oldest PSA at 53 years old. He was also the most fit and the top cadet for the class. Congratulations to the entire class for such a great accomplishment. To learn more or apply for the program visit www.apdonline.com.